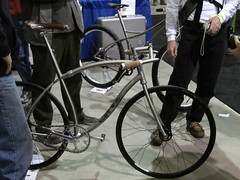 The Handbuilt show, once again, did not fail to impress. As usual, there were scads of beautiful bikes to ogle, lot’s of details on those frames to examine, and plenty of assemblies and component installations to scrutinize. While I am fairly exhausted from the weekend, I can truthfully say, I don’t think I’ll ever tire of ogling, examining, or scrutinizing the bikes at this show. Keep ’em coming. … a vintage XT group on this gorgeous Signal. 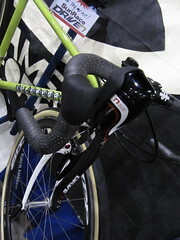 … unique Gipiemme shifters on this Bilenky. … not necessarily the most up-to-date group set on Cielo. 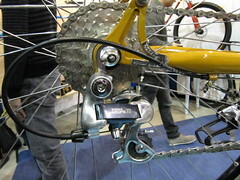 … the pairing of XT rear derailleur, a 9-speed cassette, and Centaur 11-speed shifter at Palermo. 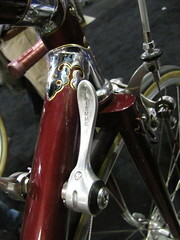 … Igleheart’s utilization of SunRace components was quite the exception too. I also appreciate how cleverly the bikes are sometimes displayed. 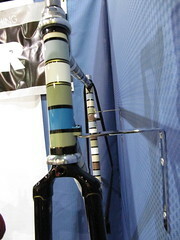 The use of one-off mounting and securing of the rig for display can be really brilliant. … a beautifully painted old frame with mounting brackets brazed on it’s side at VeloColour. 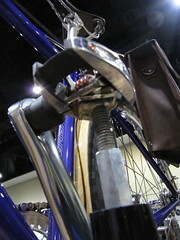 … custom stands to clip the pedals into at Shamrock. 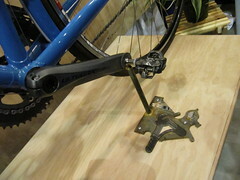 … not to forget Signal’s custom mounting brackets. 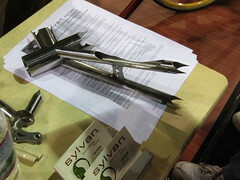 Those that are making their own components are also not to be overlooked. High ATD (Attention To Detail) always well-received in my book. 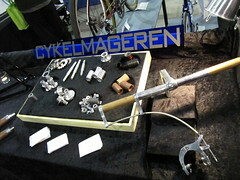 … customizable modular hubs, brakes, etc from Cykelmageren. 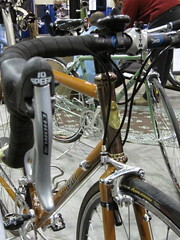 … sharp bullet bars at Black Sheep. 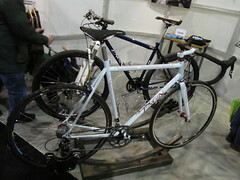 All in all, great show, greater bikes, strange town. There’s plenty more photos of items I probably missed pointing out in this to be seen on my photo set; needless to say there’s surely a ton of other photos out there of the show. 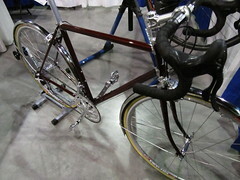 i always figured that there are some of the builds done with whatever they can simply to get the bike together. I would imagine a few of these guys are so strapped for cash that they can’t afford to have all their bikes built up they way they would actually like.